Vaping, as all high school students know, is a trend that has become increasingly popular across the nation. Now, the inconspicuous pens students use to partake have made their way onto our high school campus. Unfortunately this is the story of many teenagers today. At only 14 years old, kids are being introduced to the world of smoking. Often it starts with a friend or relative encouraging the behavior saying, “try it, it’s fun.” Many young adults are not educated on this topic and therefore are unable to make a wise decision for themselves. Junior Aidan Sybrandy shared that vaping “is a waste of time and shouldn’t be done at school.” He brought up the point that smoking in any building is not allowed and this rule should be more strictly enforced on school grounds. Vape pens are so accessible to kids these days and it’s hard for the administration to enforce the no smoking rules when there is no smell and kids do it in the bathrooms, where they are unlikely to get caught. The innovators of these pens market directly to the younger generations. They make the vape juice flavored, so it is appealing in the same way a chocolate bar is. The smoke that comes out of the pen is able to be manipulated and it becomes a game to see who can do the coolest trick with the smoke. Senior Charlotte Dowson stated that “a lot of people do it, it’s really addicting nowadays.” In school, “a lot of kids still [vape] and a lot of kids get in trouble for it, but no one pays attention to the bad stuff that may happen. No matter what others tell them about how bad it is or the effects it can have.” She believes that the consequences aren’t such that kids will stop vaping, but that they will just try harder not to get caught on school grounds. And this, right here, is the problem. People who vape and get caught simply get their pen taken away for a day or so. They may get a lunch detention, but that doesn’t seem to phase any of them. They view vaping as a tool to engage in social circumstances and when faced with authority they feel no remorse for their actions. The students feel as if the school is making little to no effort to handle this situation. As a result, students feel at liberty to act as they please with the belief that there will be no consequences for their actions. Often, students will go to smoke shops that they know don’t ask for an ID. They may even ask someone who is older to buy them one or invest in a fake ID. Fake IDs cost anywhere from $50-$150. I believe that vaping in general is something kids shouldn’t be doing. The legal age for owning and using a vape pen is 21 years old, yet you see kids everywhere smoking. We are dealing with something new, an epidemic has hit, and we now have to decide what our world will look like with this captivating invention. Some people say that vaping isn’t bad. They believe there are slim to no health risks and that a personal choice shouldn’t concern others. 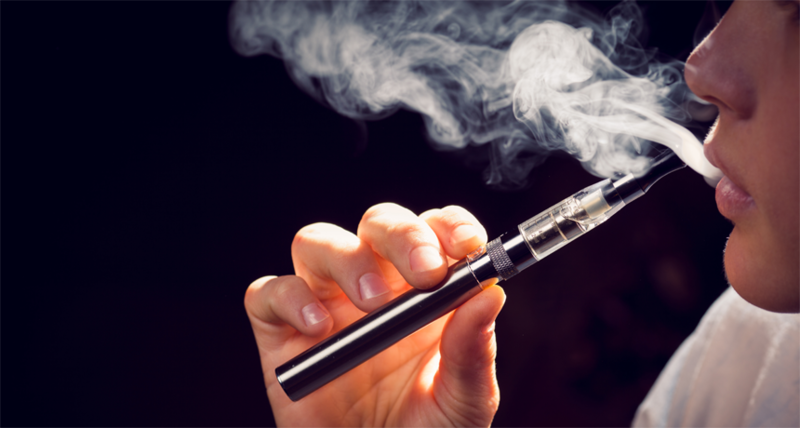 However, research from the American Association for the Advancement of Science shows that “a more recent study suggests that vaping has nearly the same impact as cigarettes in terms of suppressing the essential immune system-related genes.” Inhaling smoke, weed, or other vape juice allow unnatural substances to enter our bodies. By forcing these chemicals into our lungs, we harm them; no matter what it is being smoked, there will be damage. The fact that teenagers feel the need to hide this act reveals that they are aware that there is something wrong with vaping. In my own experience, kids who vape know it’s bad and are aware that there are repercussions to their actions, but they don’t care. Whatever satisfaction they get from vaping outweighs any deterrence to refrain. Many people I know who vape don’t openly admit it. Most people will tell you vaping is wrong and it deteriorates health and smoking in school shouldn’t be allowed, yet the very same people still sneak around and smoke at every possible opportunity. Off-school property, students are entitled to act as they wish, but on school grounds during the seven hours students are here, they should refrain from vaping or else be subject to the punishment the schools sees fit. Web Editor’s Note: This article has been updated to the correct legal age for smoking thanks to an anonymous tip. In the future, remember that TheSage only screens comments if they do not have a real name and email. The punishments mentioned in this article seemed way too simple for the nature of the offence, it is illegal to smoke on any government campus and the punishments would be far more severe than just having the vaping device being removed for a few days. Although I am not 100% sure, I believe the punishment for being caught smoking on any campus will most definitely result in suspension, expulsion, and even trouble with law enforcement. I’m glad that in Sage, and at the very least my past schools, we’ve been taught what vaping/smoking does and why we shouldn’t do it, and I hope that we can keep that in all schools. Even if at the time, students are like “ugh, with this again? I’ve already heard this before”, the stronger the message sticks, the better. VAPING IS SWEET i keep five vapesticks on me at all time because vaping makes me very cool. iF you dont like vaping your not cool. Tyler if you’re not doing anything productive can you come back to class instead of correcting peoples grammar? Your two sources discredit this article, it makes the whole piece turn into a joke. I love this comment section! But really guys? 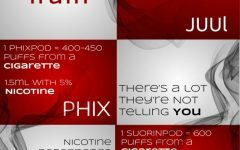 vaping is so stupid! Death to periods as a form of punctuation! The Sage intends for this area to be used to foster healthy, thought-provoking discussion. Comments are expected to adhere to our standards and to be respectful and constructive. As such, we do not permit the use of profanity, foul language, personal attacks, or the use of language that might be interpreted as libelous. “We were experiencing our first high,” lol what. You can’t get high from vaping haha.